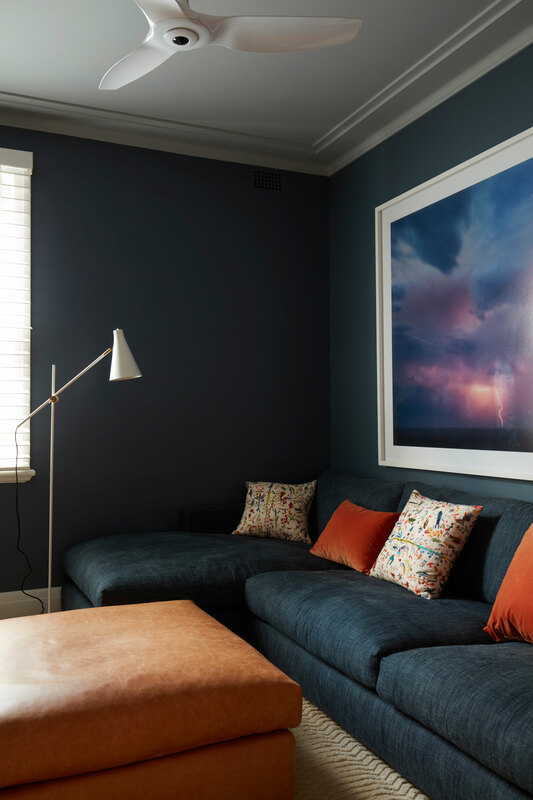 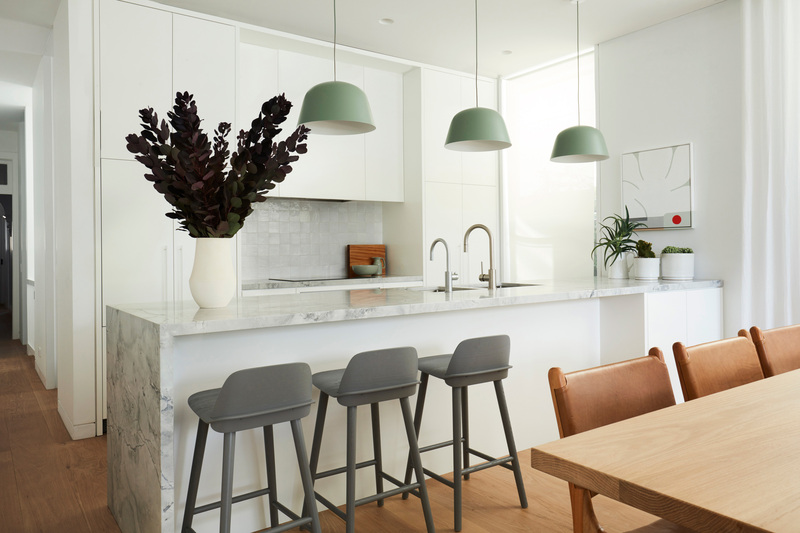 This architect designed family home with its feeling of space, air and light is a reimagined post-war brick semi in Sydney’s Bondi. 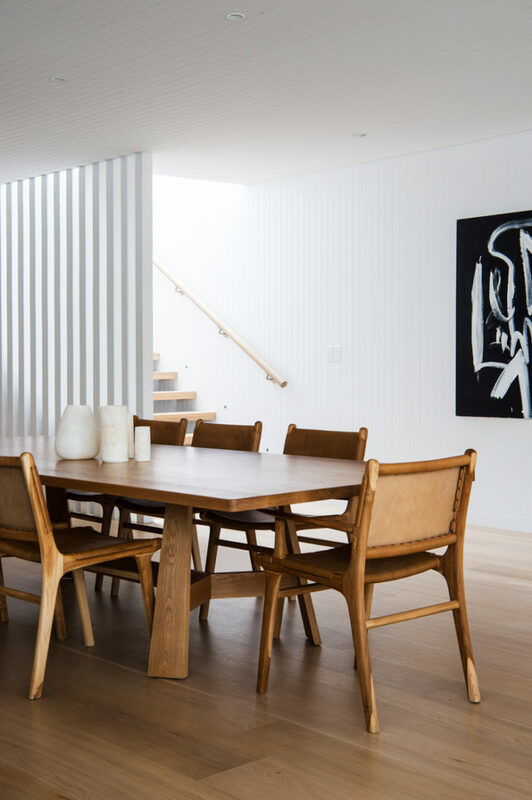 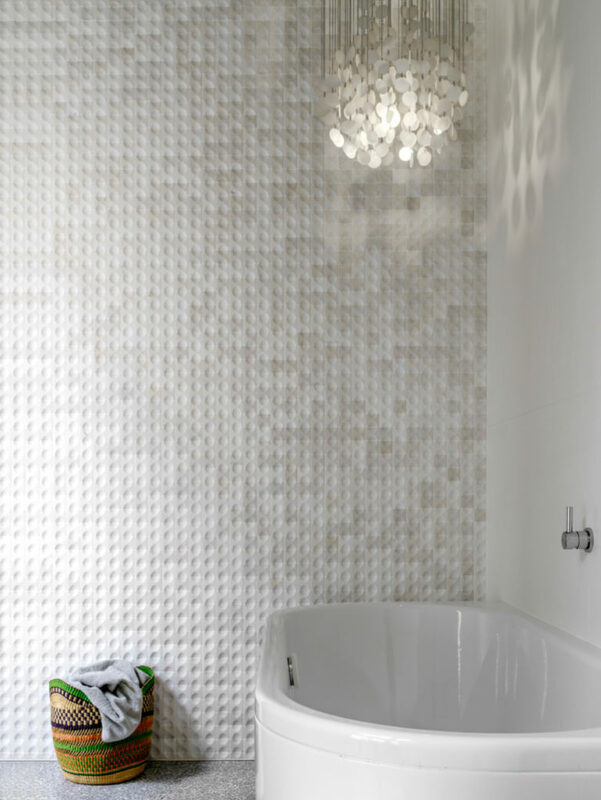 Robert Plumb Build worked with architects Potter and Wilson to turn this traditional single storey house, with its series of consecutive rooms, into a generous two-level home with a clear connection to the pool and garden. 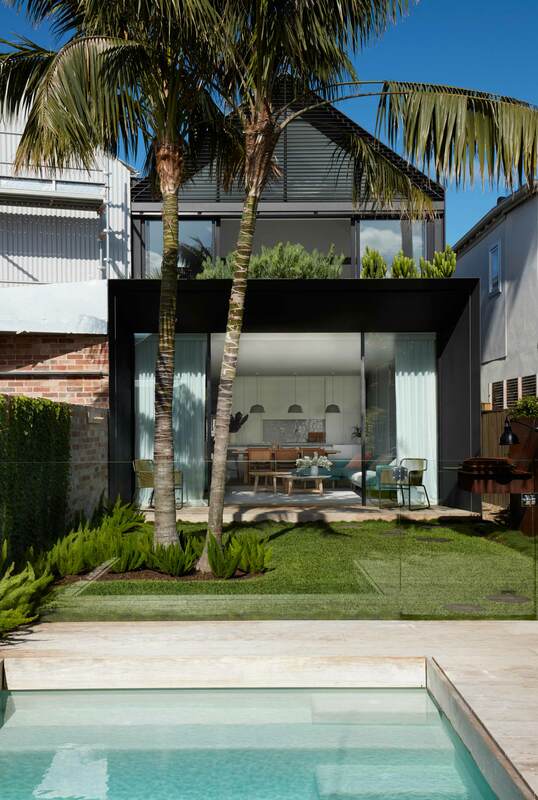 From the street the architecture minimises the appearance of the second floor addition playing off existing gable angles to create a structure that, while clearly contemporary, has a distinct relationship to what exists. 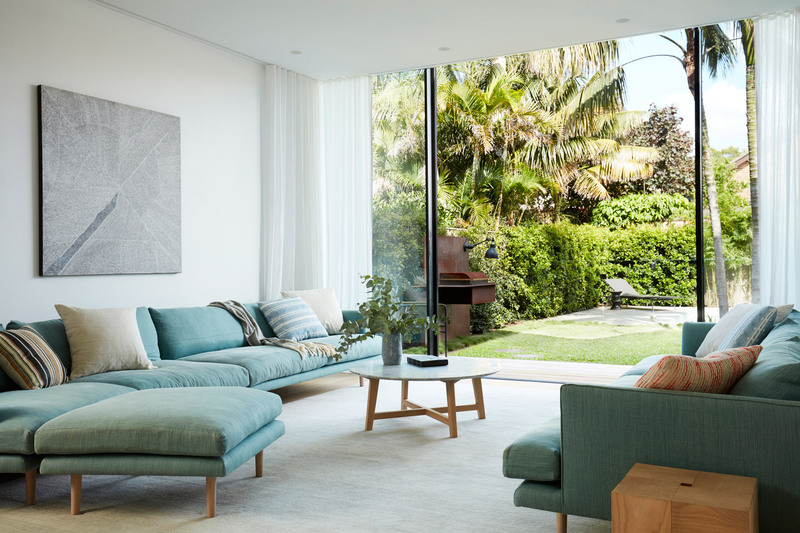 On the ground floor only the façade and the front bedrooms were retained with an emphasis on pumping up the sense of volume in the living room and amplifying its engagement with the garden. 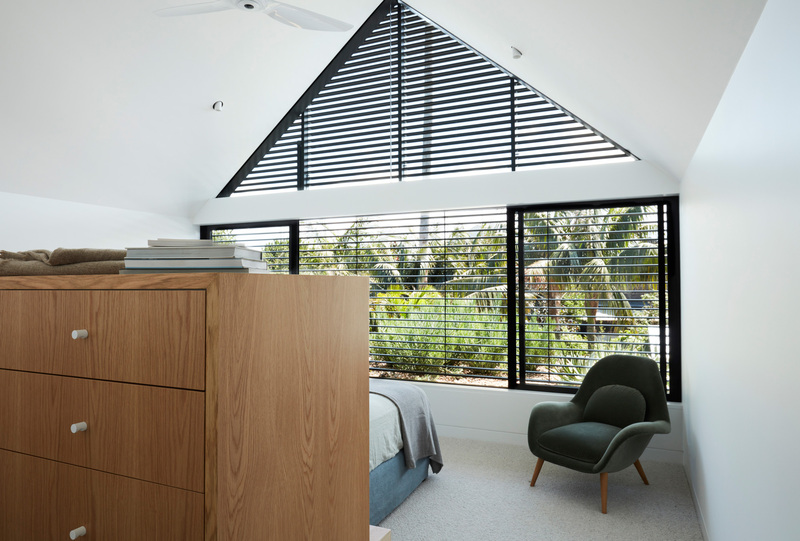 Placing importance on getting light and cross ventilation into the long, narrow building was achieved with glazing on the southern side and skylights in the upper storey rooms. 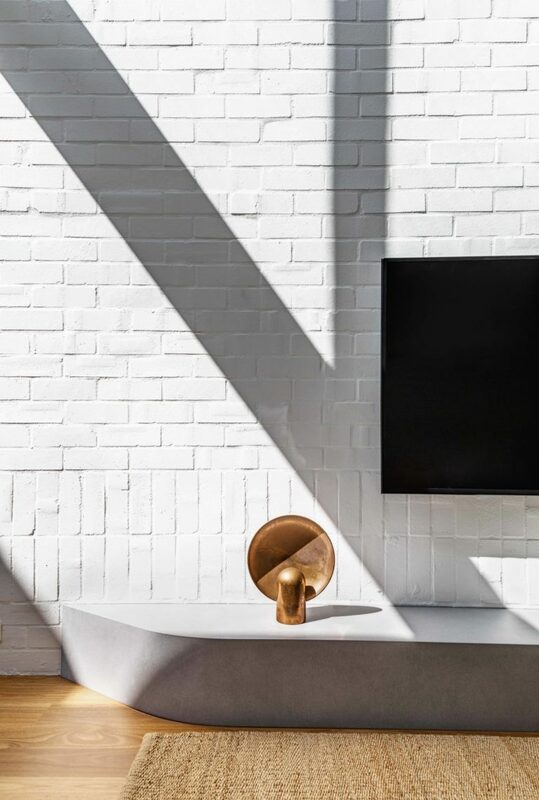 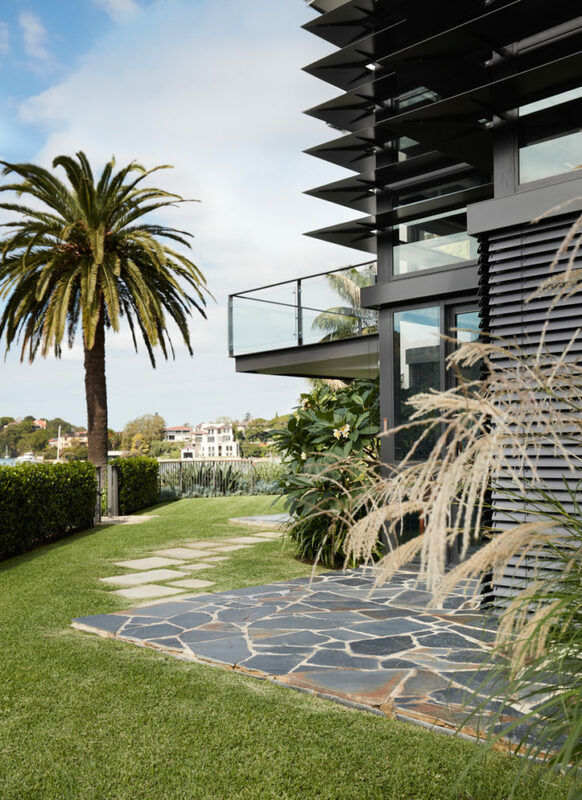 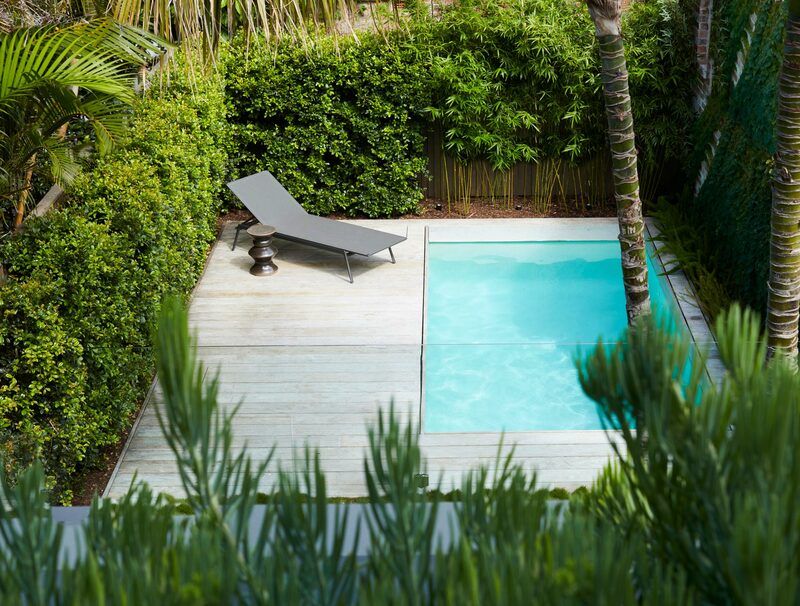 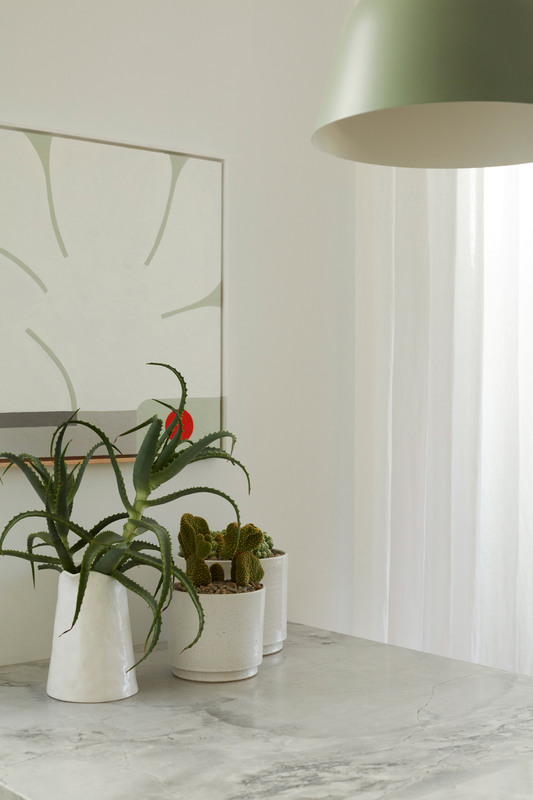 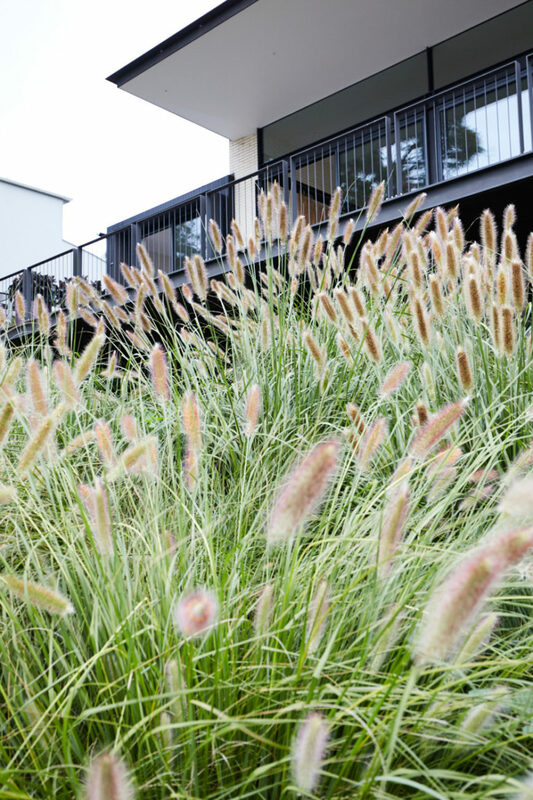 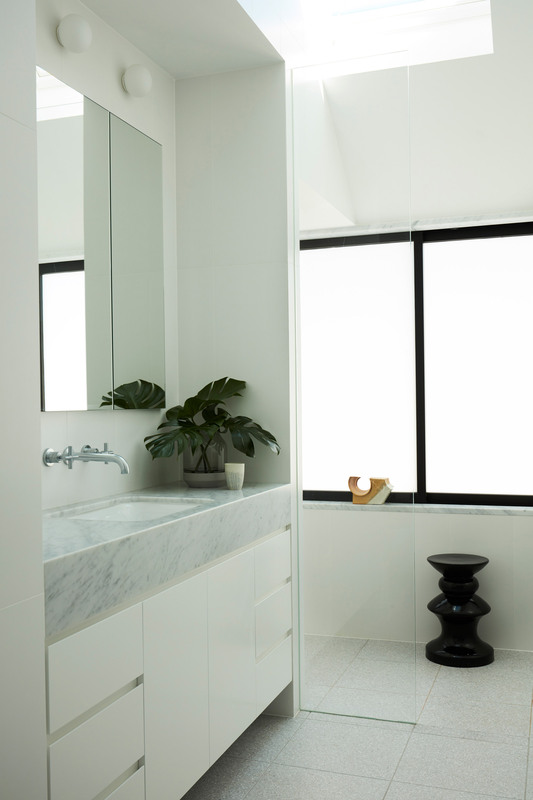 The soft, lush planting by Dangar Barin Smith, juxtaposed with the crispness of the building form, gives the house the sense of a contemporary oasis. 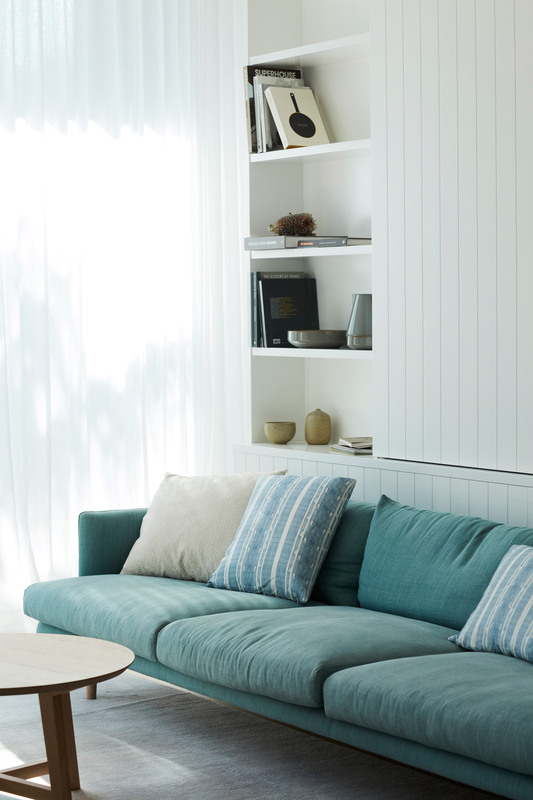 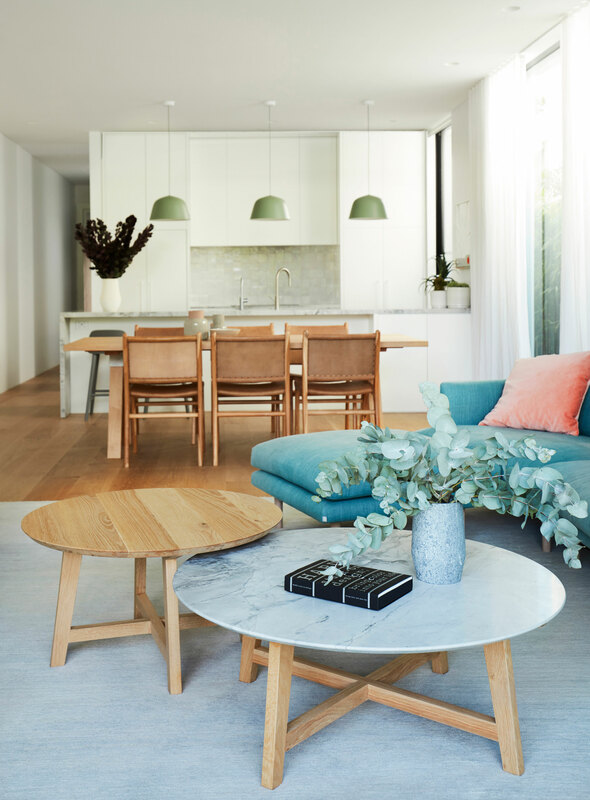 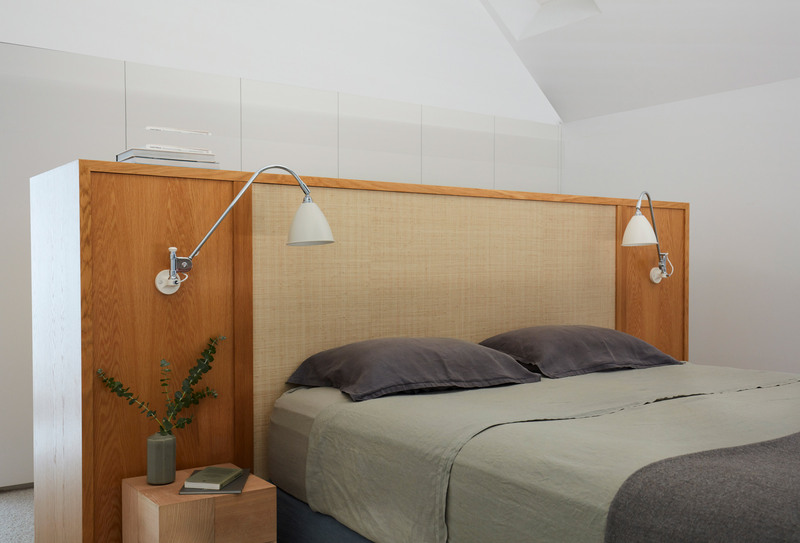 The interiors by Briony Fitzgerald Design bring a fresh colour palette of light seaside colours alongside extensive joinery for display and storage and a home study with built-in double bed. 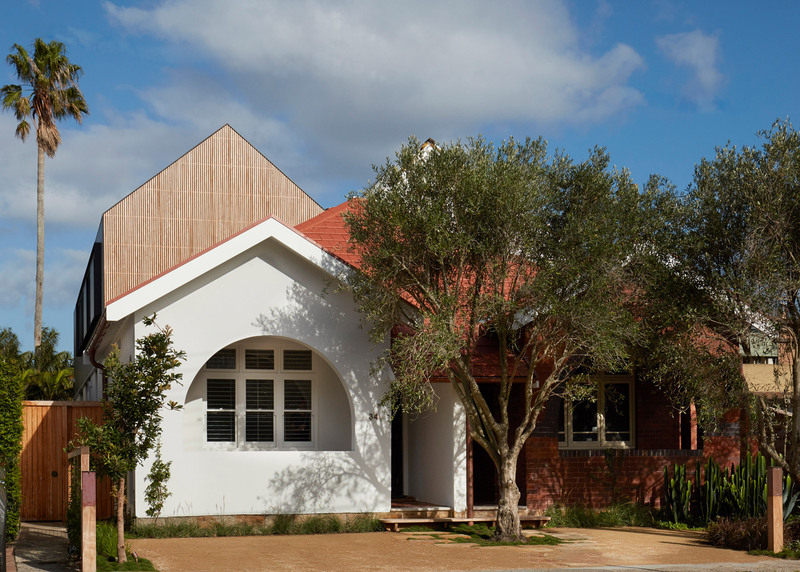 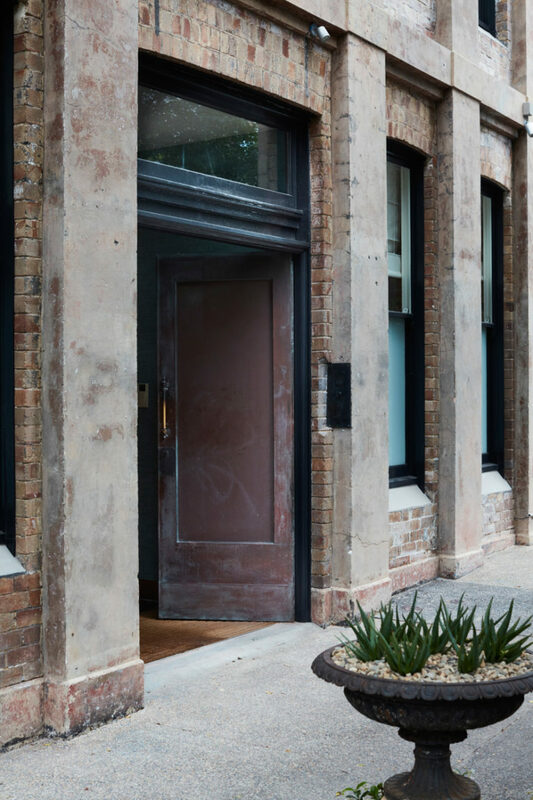 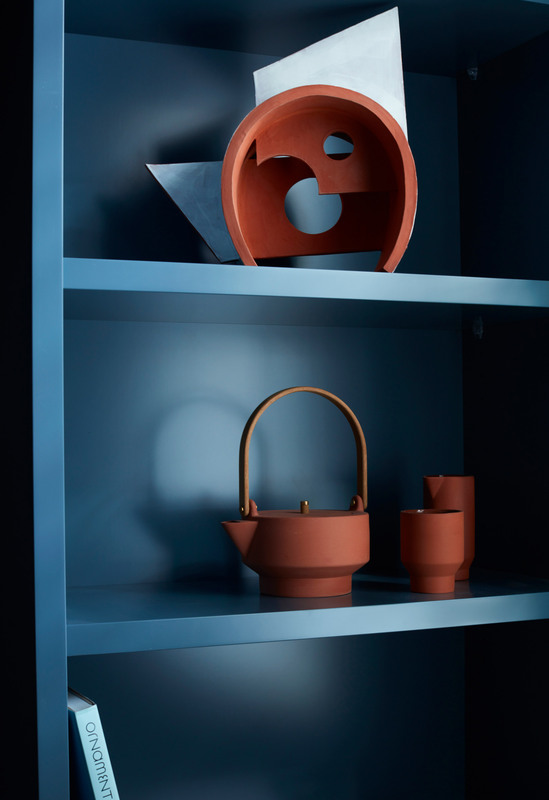 With clear design and documentation by Potter and Wilson, a client who made quick decisions and Robert Plumb Build collaborating with Cranbrook Workshop and Dangar Barin Smith, the project was completed in just over a year, with the building stage as just 6 months.